Milwaukee is in a reflective mood, days after tragic events unfolded in the city’s Sherman Park neighborhood. Earlier this week, people quietly reflected in Alice’s Garden, a green oasis two miles southeast of the Sherman Park hot spot. A circle more than 50 people – different sizes, ages and colors – stood together. And, Monique Inez Liston led a solemn chant. “For the people who were born with a fighting spirit, who have always remembered, always been connected to the need to fight to do what is right. We lift them up,” Liston said. With each chant, Liston poured water onto the earth where magnificent sunflowers grow. “We pour not only this water, we pour our hearts out, we pour our blood out, we pour our tears out, because it is for those future generations the work we engage in – spiritually, politically, economically, that must continue in order for this space be what they need in order to survive. We pour to the future. Ase,” she said. Ase – let it be so. Venice Williams (center) says attendance at regular Tuesday evening gathering doubled this week. Executive director of Alice’s Garden, Venice Williams, said it’s her job to stir up more than earth. "Don't walk away from here patting yourself on the back because you came into this neighborhood. These are literally first steps." “Healing is not new to us," she said. "I thank you for coming out of what could be a comfort zone and entering into a space that you might have never been been in before, coming down a street where you may not normally come, but know that this is just the beginning. Don’t walk away from here patting yourself on the back because you came into this neighborhood. These are literally first steps." 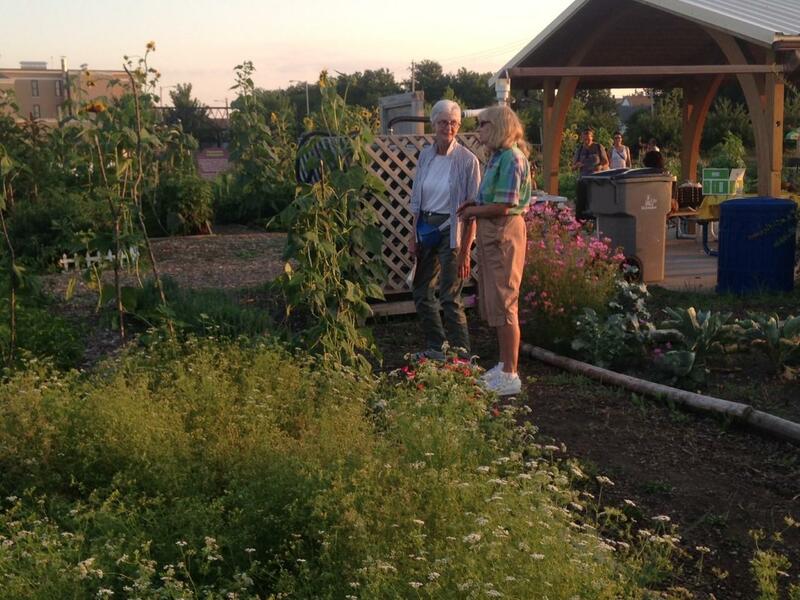 Jean Jackson stopped by the garden for the first time. She lives in the Story Hill neighborhood and said she’s overwhelmed by the ceremony and the garden’s profusion, but especially the state of the wider Milwaukee community. Many people visited the garden for the first time this week. "It’s just a complex, complex issue that’s been going on for ages and ages and ages; people not being able to walk in other peoples’ shoes, I think, just can’t see that other person. 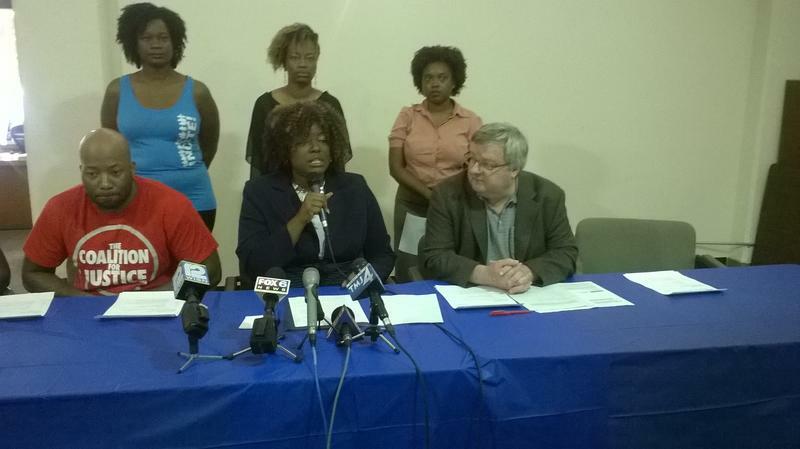 I don’t know, we’ll just to keep working at it I guess,” Jackson said. Alejandra Hernandez works on city’s south side and lives between there and here, but this space isn’t foreign to her. She’s part of its herbal apprentice program. “Being in Alice’s Garden has been a really nurturing place," she said. 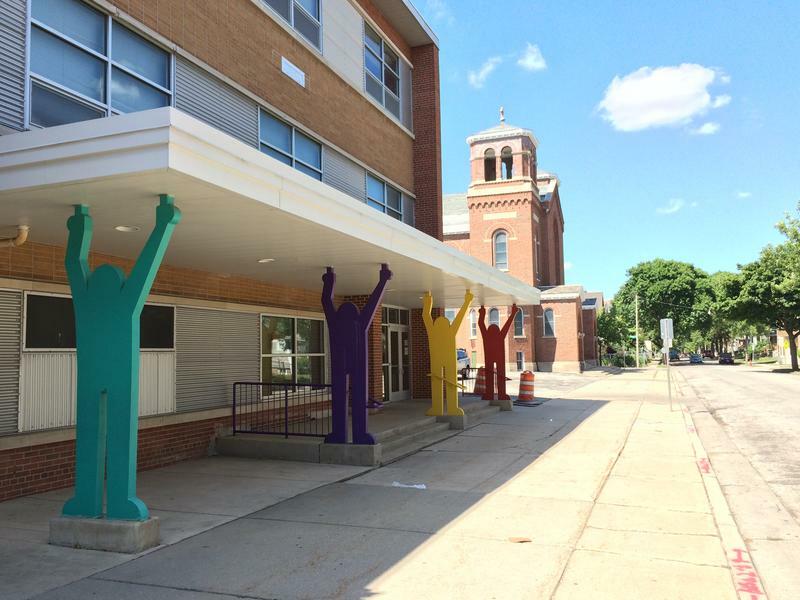 "Everything’s growing; people are laughing; children are running around and ….It’s a space that exists in Milwaukee amidst the chaos." 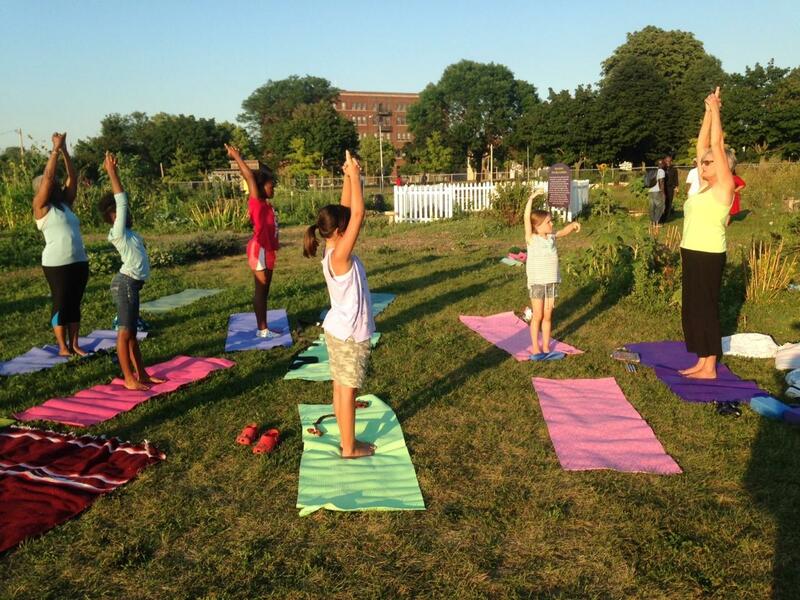 Stephanie Sandy has been leading free yoga sessions in Alice's Garden for over a decade. Nearby a cluster of people unfurled mats as Stephanie Sandy led a yoga session. Sandy’s been teaching free classes here for more than a decade. As Ben LeFort watched his young daughter joyfully absorbed in yoga, he said, “Being in this space with a diverse group of people is more of what the city needs. There’s a lot of healing that has to take place but a lot more hard work too." A critical part of the work, LeFort said is to build jobs “from within” and he wants to help. While people mingle dwith people they’ve never before met, gardener Brenda Jackson quietly went about her business. Not only was she weeding, but was also grappling with the whys and what’s next for the city….. “It’s crazy , it’s crazy I wish it wasn’t happening,” Jackson said. UPDATE: Sylville Smith was shot once in the chest and once in the arm, according to the Milwaukee County Medical Examiner. Those autopsy results seem to correspond with city leaders' account that Smith had turned toward the officer who fatally shot him. Police say the 23-year-old was armed and fleeing after a traffic stop. Families across Milwaukee are reeling from news of violence on the city’s north side. In a special partnership with Milwaukee Public Television, WUWM's Lake Effect convened a panel of community members to discuss the causes of the violence in the Sherman Park neighborhood and the way forward. 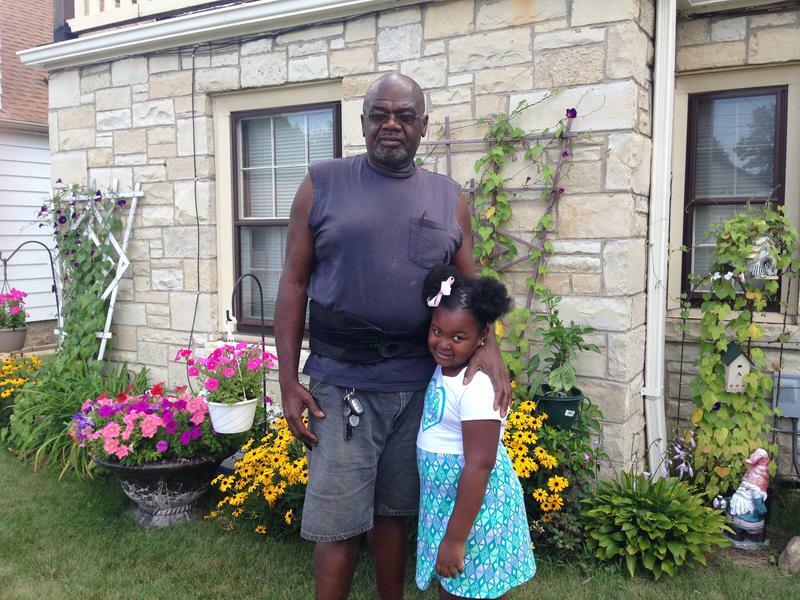 Clifton Pharm wanted to explain to his five-year-old granddaughter Chanel what happened over the weekend in their Sherman Park neighborhood. So he took her hand and walked her past businesses that demonstrators set on fire and ransacked, following the fatal police shooting of a young black man. The grandfather remembers when his brother did the same for him, in the 1960s. Pharm and Chanel started their walk on 36th and Fond du Lac, right across the street from the damaged BMO Harris bank building.